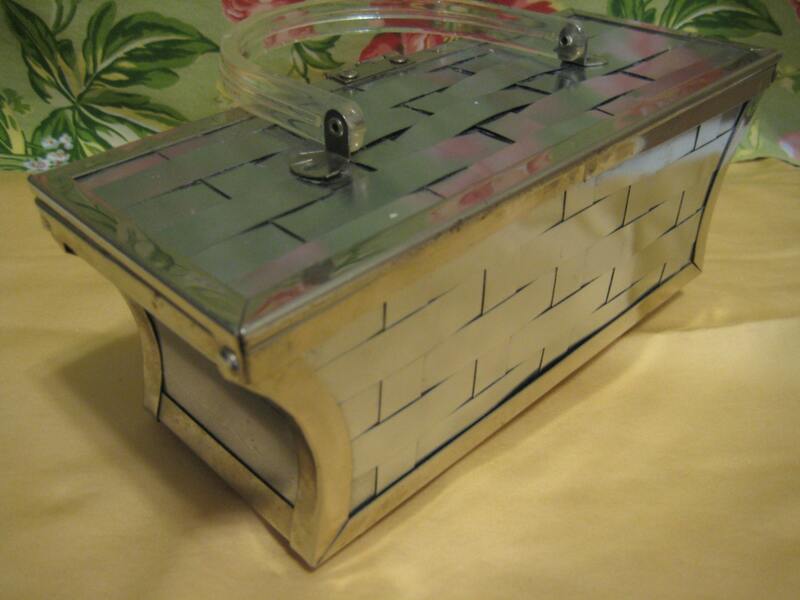 Super Deal for this VTG Silver Metal Weave Bag! 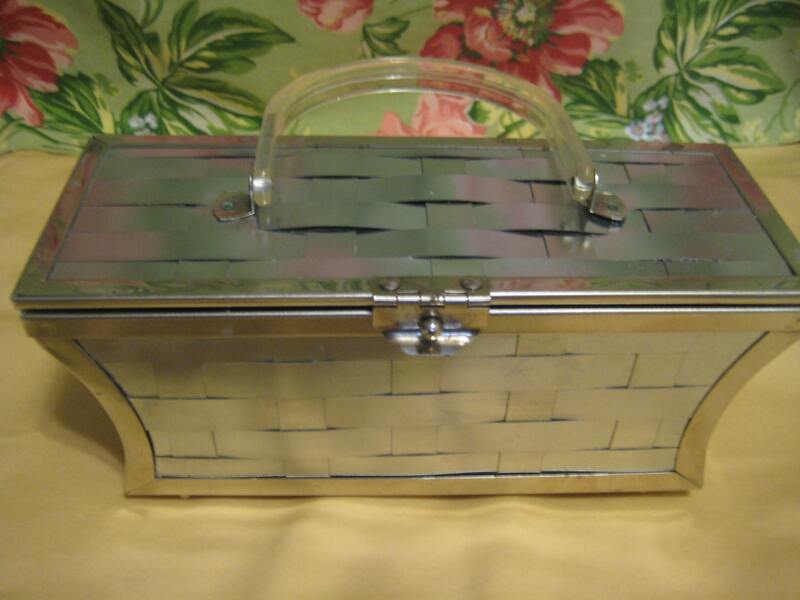 Vintage silver tone metal weave box purse with pretty swoop sides. Gold tone frame accent and fold over catch. Clear Lucite handle with a 3.5 inch drop. 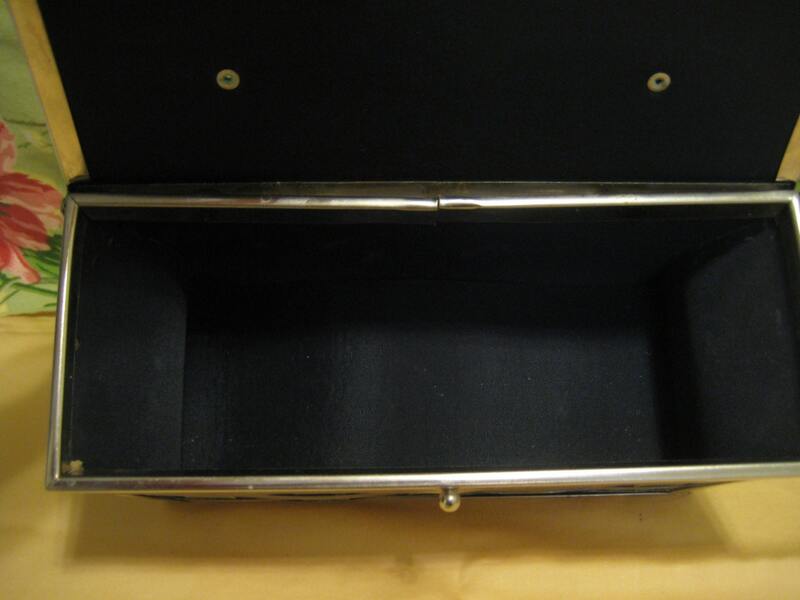 Lovely black polyester satin interior lining. Very clean. Original metal grommet footings. Good with a sauter gun? One side of the top handle has come loose from the base. Needs a quick sauter. Otherwise - a fabulous collectible bag! 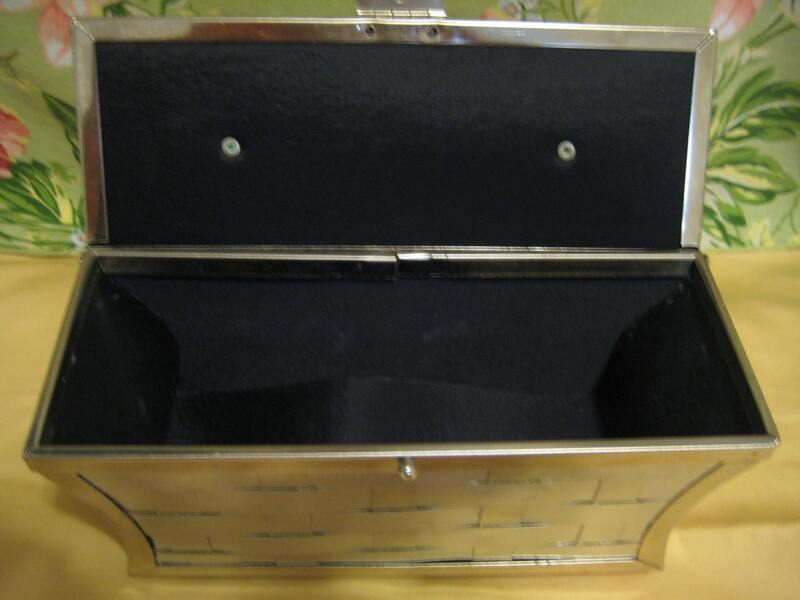 Dimensions: 9 inches along the top x 3.5 inches tall x 3.5 inches wide.